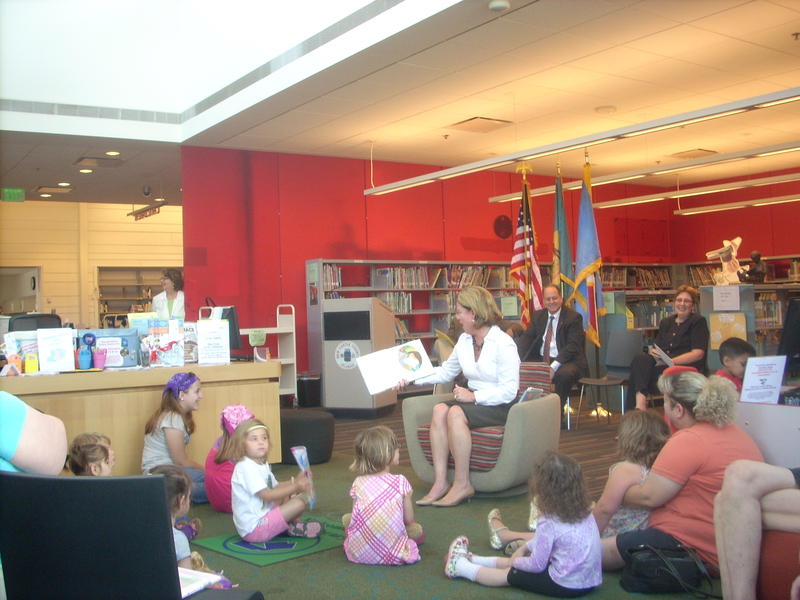 Delaware’s First Lady Carla Markell kicked-off the 2011 Summer Library Reading Program at the Kirkwood Library on Wednesday. Mrs. Markell read “How to Make an Apple Pie and See the World” by Marjorie Priceman (a book she said she read to her daughter many times when she was younger) and “Anansi Finds a Fool” by Verna Aardema. Children and parents in the audience were also treated with a performance from Tahira, a multicultural storyteller and musician. The theme of the 2011 children’s Summer Library Reading Program is “One World Many Stories”. The Summer Library Reading Program assists children in maintaining their reading skills over the summer to prevent September Setback where students may lose up to one month of instruction, with disadvantaged students being disproportionately affected. With funding from the Delaware Division of the Arts, Diana Macklin and Tom Sieling will be performing at every public library in DE this summer to promote the program. Many libraries now have separate teen and adult summer reading programs; “You are Here” for teens and “Novel Destinations” for adults. Where was the American Flag first flown in battle? Was it Cooch’s Bridge? When and where the American Flag was first flown in battle has not been definitely determined by scholars. 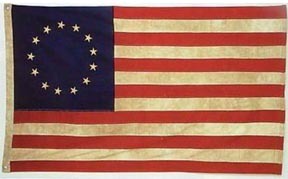 On June 14, 1777, Congress made the following resolution: “The flag of the United States shall be thirteen stripes, alternate red and white, with a union of thirteen stars of white on a blue field. . .” Official announcement of the new flag was not made until Sept. 3, 1777. 1 It was certainly flown during the Mexican War (1846-1848) and the American Civil War (1861-1865). Legend has it that Betsy Ross’ famous flag was first flown in battle during the Revolutionary War at the Battle of Cooch’s Bridge in 1777. This legend appears to have its beginning during the Colonial Revival period. In 1901, the first monument erected at the battlefield stated the flag was present during the engagement. However, the monument was modified in 1932 to be less definitive. Nevertheless, the custom and tradition that the flag flew in battle was codified in The Battle of Cooch’s Bridge by Edward W. Cooch, published in 1940. Cooch stated, “(1) That circumstantial evidence indicated that the first use of the Stars and Stripes was a Cooch’s Bridge. Although this has never definitely been proved, it has likewise never been disproved. (2) That all evidence in support of Brandywine may be used in support of Cooch’s Bridge” (Cooch page 60). Cooch supported his argument that the flag was at Cooch’s Bridge by assuming that the flag was present eight days later at the Battle of Brandywine (September 11, 1777), a claim that has since been refuted by scholars. As historians and flag scholars continued to research the Battle of Cooch’s Bridge, they found it unlikely the flag was flown there. Neither Mr. Catts, who is currently writing a book on the Battle of Cooch’s Bridge, nor Mr. Fithian have found historical evidence of the flag being flown at the Battle, nor of any British accounts that mention it. Mr. Fithian explained there are no stars and stripes among the “Tarleton Flags,” the only surviving flags from the Continental Units. Lt. Col. Banastre Tarleton captured the flags in two battles (1779 and 1780) and sent them back to England as trophies. These flags stayed with the Tarleton family until their sale at auction in 2006. During a surprise attack in 1779, Tarleton captured the battle flag of the Continental Army’s 2nd Light Dragoons, also known as Sheldon’s Horse, which saw combat at the Battle of the Brandywine. Special thanks to Steve Newton from the Delaware Division of Libraries and Margaret Raubacher Dunham from the Delaware Public Archives for their research assistance and to Charles Fithian and Wade Catts for the historical analysis! This past Sunday the News Journal published a fantastic article highlighting several online resources that are available with a library card. E-books, e-audiobooks, cookbooks, newspapers, magazines, auto-repair manuals, sample practice tests, and more resources are all available via the Delaware Library Catalog portal website at www.lib.de.us. If you didn’t catch the article in the newspaper, you can read it online here. Delaware is fortunate to have an administration that supports libraries and recognizes the value of lifelong learning. Governor Jack Markell, Secretary of State Jeffrey Bullock, and Chief Deputy Secretary of State Rick Geisenberger worked with State Librarian Dr. Annie Norman to make the statewide catalog a reality. Also, numerous library leaders, staff, and community partners, have worked collaboratively together in support of Delawareans – it takes a village to create the infrastructure, and to use the power of the infrastructure to help individuals and communities achieve potential. Because of these efforts all public libraries in the state as well as several academic institutions are sharing resources! Joining together in a statewide catalog has already brought libraries several benefits. Libraries now receive economies-of-scale savings, from something as simple as library cards to content-rich databases and e-books. Not only does the consortium save taxpayers money—it allows for better service! Library card holders in Dover can request materials online from Wilmington and have them delivered to Dover. Library card holders in Hockessin can check out paperbacks on their way to the beach and return them to the Rehoboth Beach Library (and even check out an audiobook for the ride home!). And, because the library’s web portal offers so many incredible resources, library card holders can access the information in their own homes (or wherever they have Internet access!). John Wilson and Christine Karpovage, mentioned in the article, are both online library users. 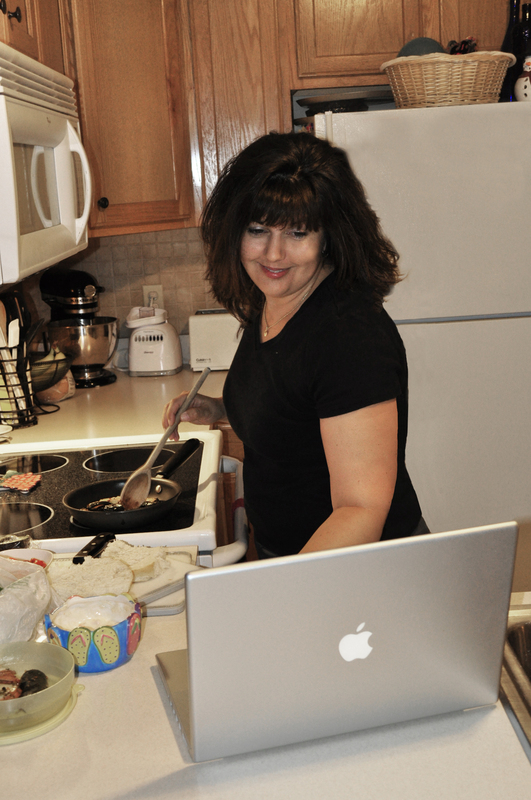 John uses the lib.de.us website to access the Auto Repair Reference manuals, and Christine uses lib.de.us to find new cookbook recipes to try. That’s her in the above picture testing out a turkey burger recipe from Rachael Ray Express Lane Meals: What to Keep on Hand, What to Buy Fresh for the Easiest-Ever 30-Minute Meals. Remember: Signing up for a library card is easy! Just stop into any member library.